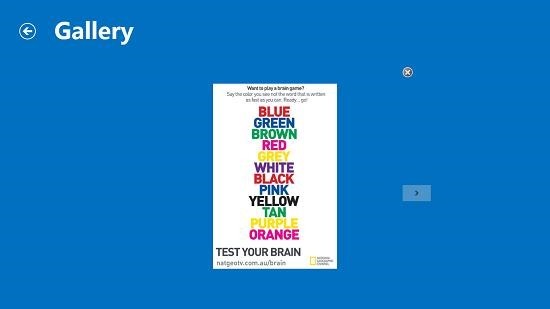 Nat Geo Brain Games is a free memory testing game app for Windows 8 and 8.1 devices which allows you to test your wit and brain. 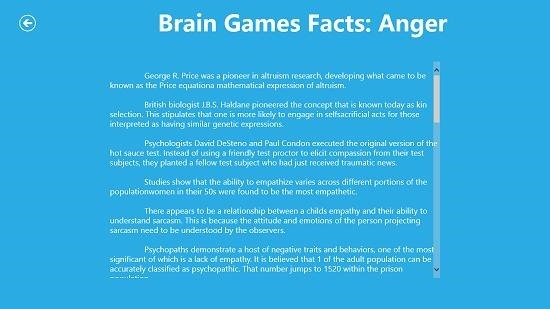 The app has a host of various images that allow you to test your mind and also allow you to view the episodes of the series, and as a bonus you also get to read articles in the app. The app is well designed and when you run the app on your device you will be presented with an interface which allows you to select the type of content that you wish to view. The app has large buttons and is fully supported on touch screen devices as well. 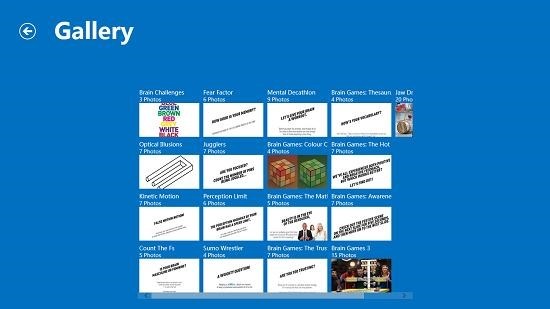 Nat Geo Brain Games is available for free from the Windows App Store. 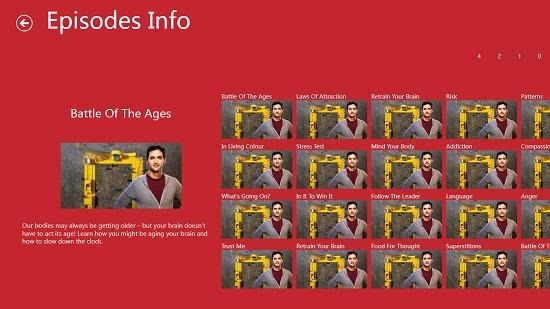 When you install and run the Nat Geo Brain Games app on your Windows 8 or 8.1 device, you will be presented with the below screenshot. From the above screen you can choose to view the gallery of images via the button at the top right corner right below the National Geographic Logo. When you click on it you will be presented with the thumbnails gallery of images which look like the screenshot below. When you click on any particular image in the gallery, it opens up in a full screen size as can be seen in the screenshot below. This is basically a game in itself which is presented on your screen. You can return to the main screen of the app by clicking on the back arrow button at the top left corner of the screen. Coming back to the main screen you can also access the episodes by clicking on the button right below the gallery button. This will bring up a thumbnail of episodes as can be seen in the screenshot below. You can watch the episodes by clicking on the corresponding thumbnails. From the main screen you can also choose to access the article list by clicking on the third button at the right side of the screen. This opens up a brief preview of the articles in the following manner. Clicking on an article preview opens it up to be read in a clear reader format as can be seen in the screenshot below. 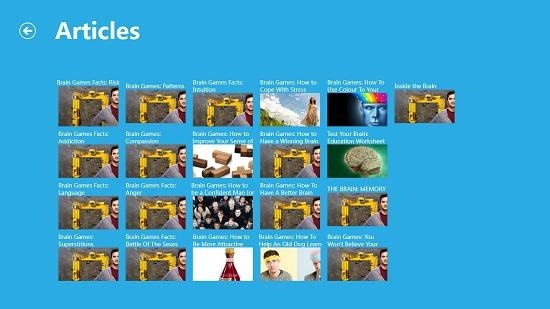 This wraps up the main features of Nat Geo Brain Games app for Windows 8 and 8.1 devices. 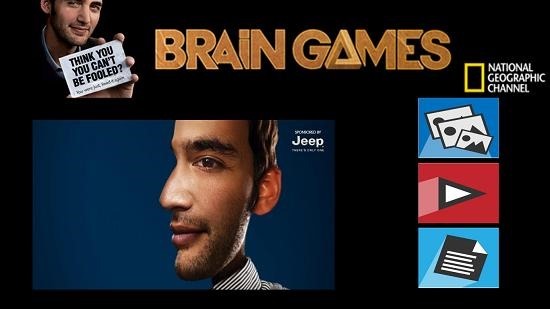 Nat Geo Brain Games makes for a great download on devices running Windows 8 and 8.1. You can grab it for free from the link below. Get Nat Geo Brain Games.